Most of you know that one of my favorite BBQ and grilling people on the Internet is Robyn Medlin Lindars, aka GrillGrrrl. She is a great source of information for tasty recipes that anyone can cook on their outdoor cooker. 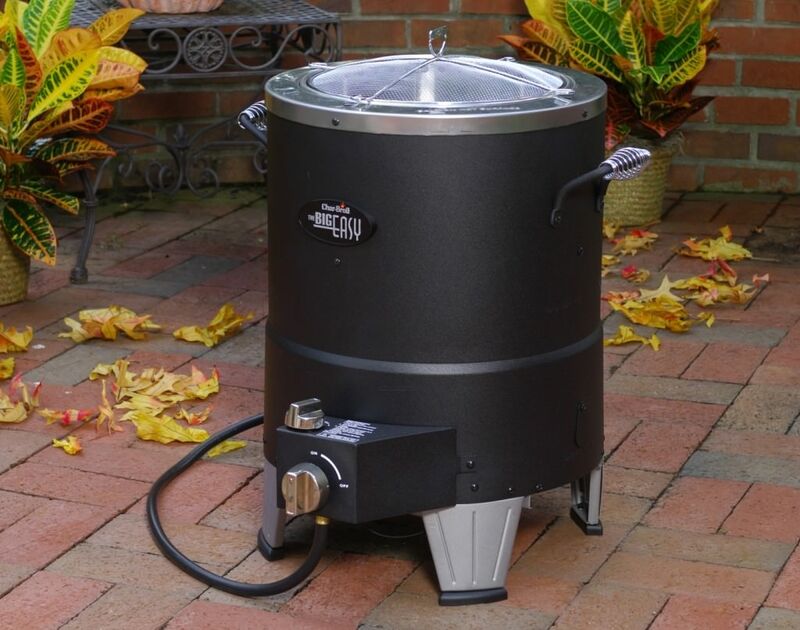 She is also running a contest Nov. 5-14 to giveaway one of these beauties: a Char-Broil “Big Easy” Oil-less Infrafred Turkey Fryer! Details on how to enter to win can be found on the blog post for this contest. Let Robyn know that Big Wayner sent you!